Our fifth year, and we are in awe of what God has done time and time again as we walk in His will. His provision, His protection, and His love never end. We at the Coalition to Save Lives intend to live as we were created to live, in the image of the One True God. In that image we will seek the lost, we will love them with the compassion of Jesus Christ, heal them in his name, feed them, clothe them, and cast out demons all through Christ who lives in us and gave Himself for us. We seek to partner with local churches and organizations who work to grow a culture of outreach within their teams. We seek disciples of Jesus Christ, who are dedicated to the great commission. Those who would continue the mission of Christ, and reach out to their community beyond the walls of the church. We believe the church is the body of Christ, and that it does not have walls, it does not stand on doctrine, or religious tradition, it is a body of Christians that have died to this world, and live through Jesus Christ, and the redemption he purchased with his blood at Calvary. That Church has Love and Compassion for all people, that church meets people where they are, and shows them the Love of our Father. Other Dates and locations may be added as we locate partners in new cities. 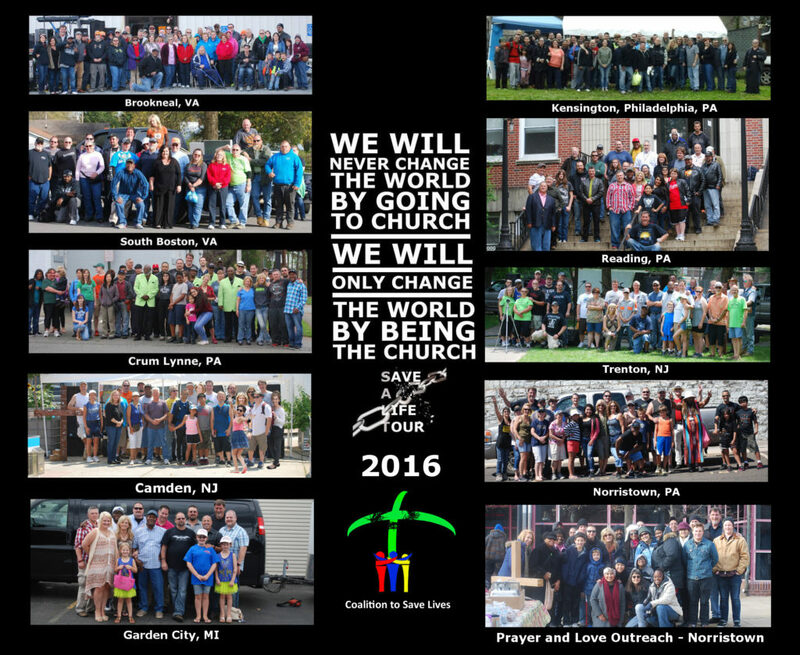 If you belong to a church or organization who would like to be involved in one of these events, or would like to partner with us in another location please feel free to contact us through our “contact us” page.